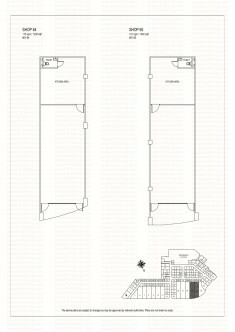 East Village is a new mixed commercial (retail shops) and residential development at Upper Changi Road. 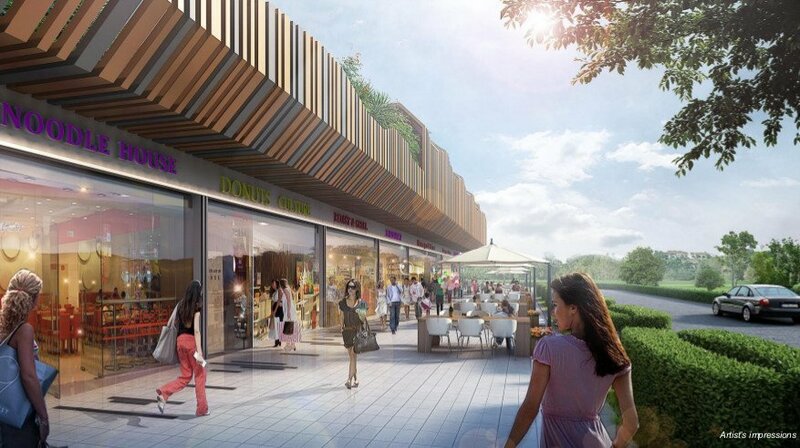 Shops will enjoy prominent frontage of over 110m along the busy junction of Upper Changi Road and Bedok Road. 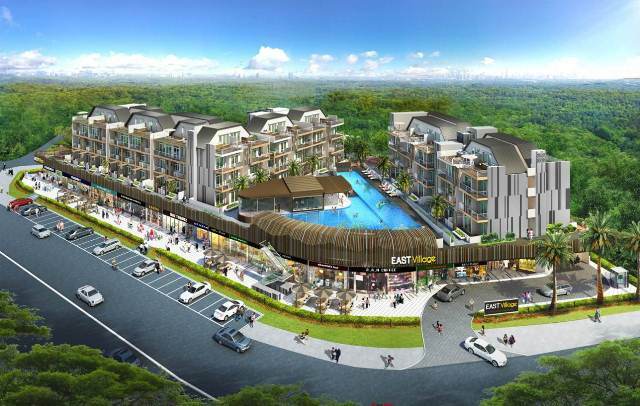 Drive, Tanah Merah Kechil, and Pari Kikis, as well as nearby condos Casa Merah, East Meadows, Tanah Merah Crest, Optima, and upcoming developments Urban Vista and The Glades. East Village will benefit from the office crowd at Changi Business Park (just 1 MRT station away) and Changi South Logistic Centre. Students from educational institutes in the vicinity like Anglican High School, Temasek Secondary, ITE College East and the upcoming Singapore University of Technology and Design (SUTD), will also add to the human traffic. The nearby Bedok Shopping Complex market and food centre, and shops & eateries around Simpang Bedok add to the buzz, yet the area lacks an air-conditioned shopping mall (Bedok Shopping Complex is not a mall). This is the void that East Village is set to fill. 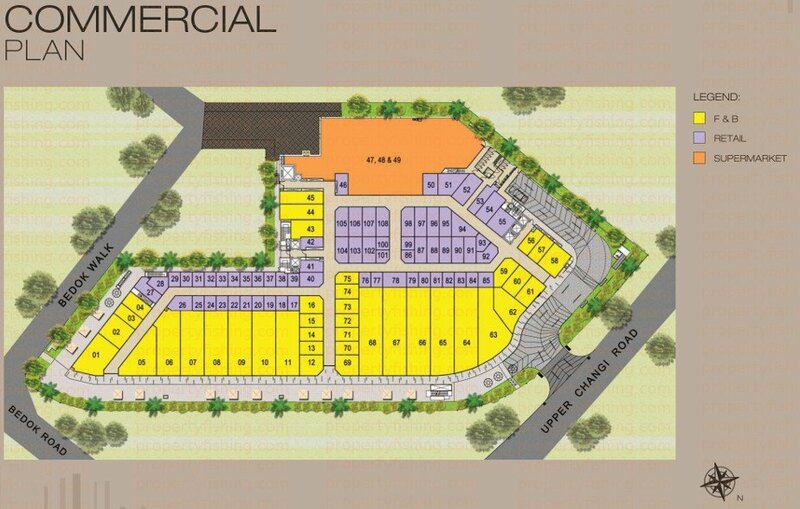 Available commercial units include 14 F&B, 68 retail shops, and 1 supermarket (comprised of 3 units). Please contact Benson at 83187083 for enquiries. 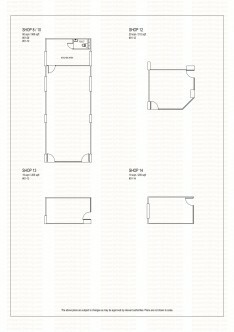 This is a sample of some available shop units. 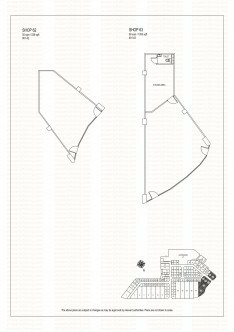 For full set of floor plans, please contact Benson at 83187083.